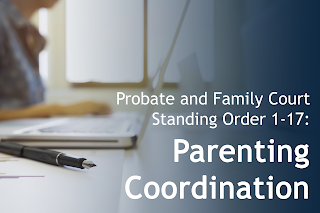 Well it has finally come to be; earlier this month the Massachusetts Probate and Family Court issued Standing Order 1-17 setting forth the qualifications, standards of practice, and scope of authority for Massachusetts Parenting Coordinators (PC). For the first time in the history of the Commonwealth this rule informs clients, attorneys, and judges what is necessary to avail themselves of the multitude of benefits of the PC process provides. Those who wish to access the full text of rule directly may click here. What follows is a summary of the salient provisions for practitioners and parents. 35 hours of accredited specialty training on matters relevant to parenting, conflict resolution, problem solving and communication skills. They must also carry at least $100,000.00 of professional liability insurance. Once approved that individual is required to commit to a minimum of 6 hours of continuing education each year. When approved by the court, their name is placed on a list in no more than four counties where judges can appoint and, attorneys and client may choose to engage their services. The appointment is consistent with the best interests of the children. (iv) the court will not draw any adverse inference if the party does not agree to use a parenting coordinator." (iii) the level of parental conflict is, or may become, detrimental to the child or children involved in the parenting plan." In circumstances such as this the parents have the right to notice and a hearing before any appointment. And, if the matter is still pending, the appointment will be effective only so long as the matter is pending and will terminate upon entry of a judgement in the action. Here, the court is also required to make written finding as to why the PC is being appointed, the full contact information for the PC, the duties of the PC, the term of service of the PC, and how the fees and expenses of the PC are to be allocated between the parents. "Notwithstanding any other provisions of this standing order, 'a judge may not require the parties to use the services of a parent[ing] coordinator if the order would require one or both parents to pay for the services without his or her consent.' Bower v. Bournay-Bower , 469 Mass. 690 (2014). If neither party agrees to pay to use the services of a parenting coordinator, the court is not permitted to enter an order or judgment requiring the use of a parenting coordinator. (emphasis added)"
Only after these procedural protections have been met will the appointment become effective. 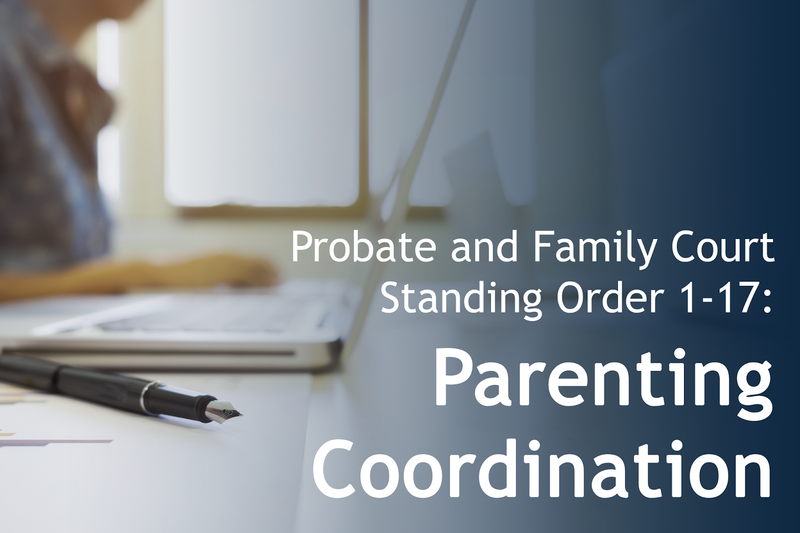 Standing Order 1-17 also provides an extensive list of duties that the parents may agree are permissible for the PC to perform. The primary function of every PC is to assist the parents to amicably resolve disputes and reach agreements about the implementation of and compliance with the order and parenting plan. Some of the particular duties that a PC can perform in furtherance of this responsibility are to make minor changes or clarifications to the existing parenting plan, determinations concerning transitions of children between parents including date, time, place, and means of and responsibilities for transportation, education and day care, tutoring, after school programs, extracurricular and enrichment activities, children’s travel and passport, psychotherapy and mental health care, religious education and observances, and the role and contact with significant others. PC’s may also support their clients in developing guidelines for appropriate communication between them, suggesting resources to assist parents, and as an objective observer identify and address certain patterns of behavior that negatively impact coparenting. Whenever parents come to a facilitated agreement that modifies and existing court order or judgement it is incumbent on the PC to advise them that such agreements are not enforceable unless and until it is submitted to the court for ratification. There are also specific duties that all PC’s are prohibited from performing: PC are not permitted to communicate with the court unless by motion with service on all parties and counsel. They may not testify as an expert witness, change legal or physical custody in a manner that impacts child support, offer legal advice, representation, therapy or counselling, delegate any portion of their responsibilities, or make binding decisions without the express permission to do so set forth in writing in the stipulation, court order or judgment, and PC service agreement. While the author of this article and his clients’ agree otherwise in writing, it is permissible for PC to testify in court as a fact witness if subpoenaed, to produce documents, and file a motion or complaint for the appointment of a GAL to assert or waive a child’s privilege, and/or to request and immediate hearing if a child is perceived to be in imminent physical or emotional danger. And while not provided in this order most PC service agreements contain a clause that notifies parents’ that the PC reserves the right to report reasonable fears concerning an individual’s safety, child maltreatment and or abuse. PC’s are typically permitted access to all non-impounded case records. This means that the judge must specifically authorize the PC to receive a copy of any GAL reports. Parents may choose to and cannot be required by their PC to release confidential or privileged information. PC’s are obligated to hold all information received during an engagement as confidential. And, all information acquired by the PC during the course of the engagement may be disclosed to either or both parents, subject to the PC’s discretion and the law, and can be used as a basis for any decision. Parents have the right to authorize the release to the PC all non-confidential or privileged information concerning their children. However, only a GAL appointed by the court can recommend the release of information from the child’s psychotherapist, counsellor, and/or social worker. 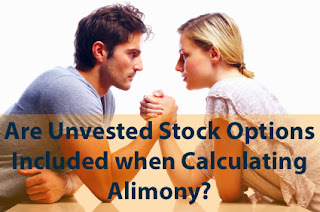 The rule provides that it is an impermissible conflict of interest for a PC to serve in a dual or multiple capacity with their clients; for example, attorney, therapist, GAL, etc. In matters where domestic violence is a credible concern the court is obligated to offer parties the opportunity to consult with an attorney or domestic violence advocate of their choosing. Further the court is prohibited from appointing a PC over the objection of a party in matters where domestic violence is a credible concern. Next the order sets forth detailed and specific requirements and parameters for the replacement, extension of and/or early termination of a PC’s term of service. The process is similar except that the standard differs depending on whether or not the matter is pending. In each instance a parent must file with the court. In either instance the court must that the requested action is in the best interests of the children. If the matter is not pending, the court must find that there has been a material change in circumstances; if the matter is pending the court need only find good cause. When the parents seek to extend the term of the PC they must seek court approval and the extended term is limited to 1 year which may be renewed as needed. If both parents agree to replace one PC with another, again, their preference must be approved by the court and depending on the status of the action meet the standards set forth above. If the PC chooses to resign they must provide written notice sent by first class mail to each parent and all attorneys involved in the matter. This notice must state the effective date of the resignation which cannot be less than 15 days after the date the notice is mailed. Then the PC must file a copy of the resignation with the court at least seven days prior to its effective date. The parents may thereafter agree on a replacement PC the appointment of which must be approved by the court as set forth in the order. The scope of duties of the PC may be modified by agreement of the parents in accordance with the procedures outlined above pertaining to extension and or early termination. And to be enforceable the court must recognize this stipulation as an Order or part of an Agreement. *Tony Pelusi, Jr., JD, CPCC is a Boston area Lawyer, parenting coordinator, professional coach and relationship facilitator. 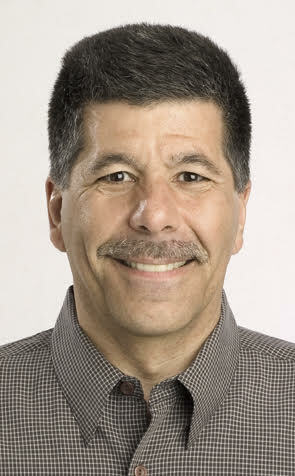 He uses his skill and experience to help individuals, couples, families, and cohorts realize their full potential. Learn more about Tony here.